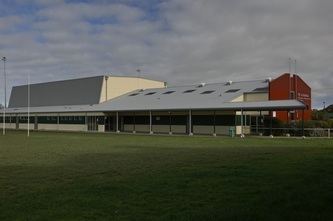 Rongotea Community Centre is located on Wye Street, in Rongotea Township. 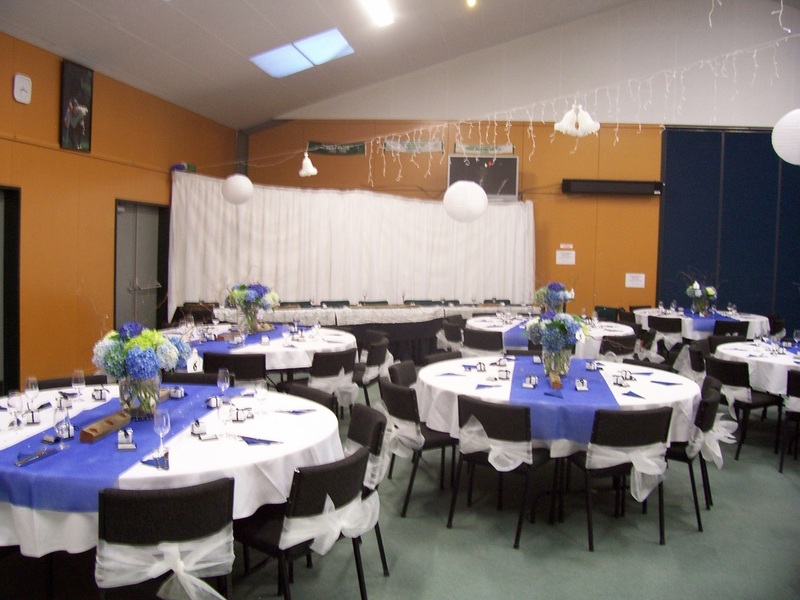 This Centre is situated in Rongotea which is 16km from Palmerston North, Feilding and Bulls. The Te Kawau Memorial Recreation Centre was opened in 1999 and built with an agreement between the Ministry of Education, the Manawatu District Council and the Community at a cost of $1.4 million. 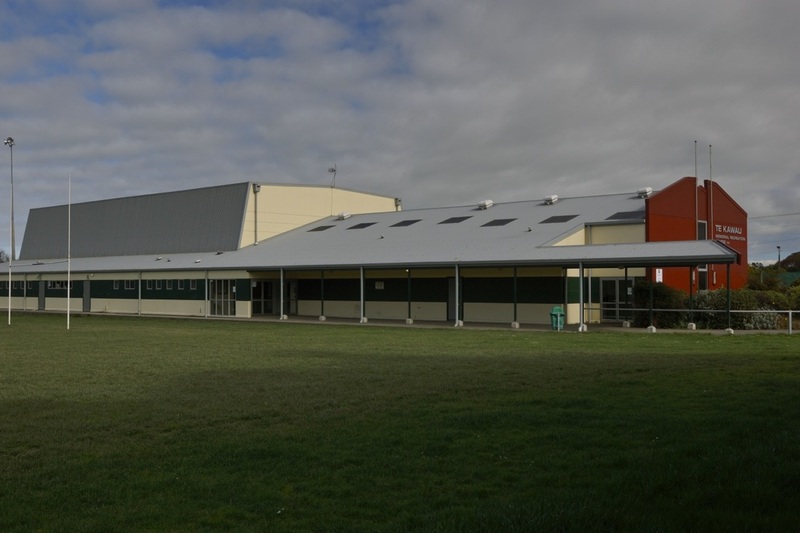 The Centre is adjacent to Rugby Fields, Netball Courts, Tennis Courts, Swimming Pool, BMX Track and Bowling Greens. The administration of the Centre is undertaken by a local committee made up of the regular users who are responsible for the general maintenance and running of the whole Complex. 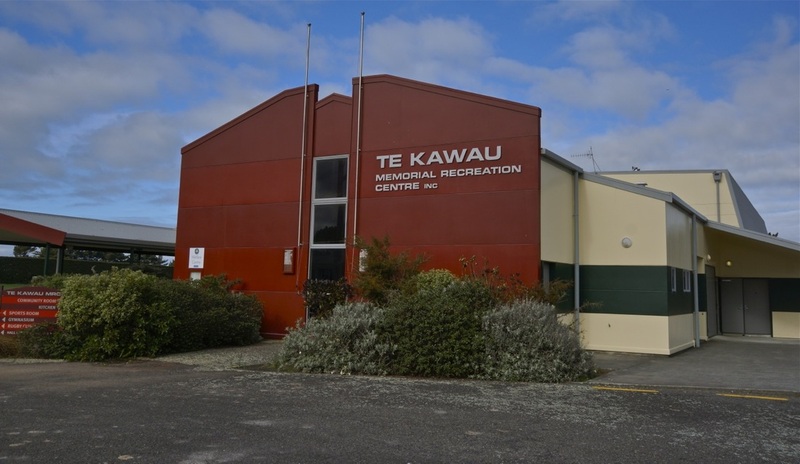 This Complex is available for the sporting, cultural and business needs of the Manawatu. 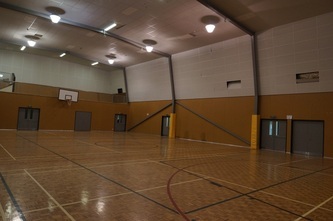 The facility has a Gymnasium, Conference Room and Meeting Room. 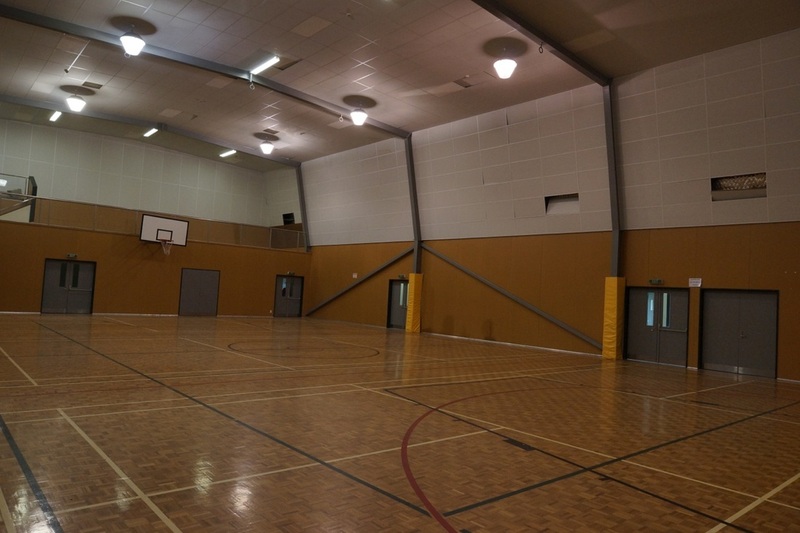 The Gymnasium has a sprung parquet floor marked out for Netball, Basketball, Badminton (3 courts), and Volleyball. The Gymnasium seats approximately 400 people and has a mezzanine viewing area. 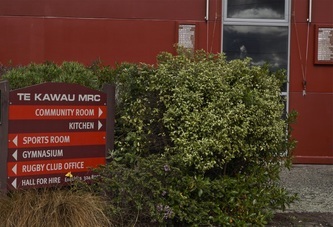 There are men’s and women’s changing rooms, showers and toilets, with facilities for the disabled. 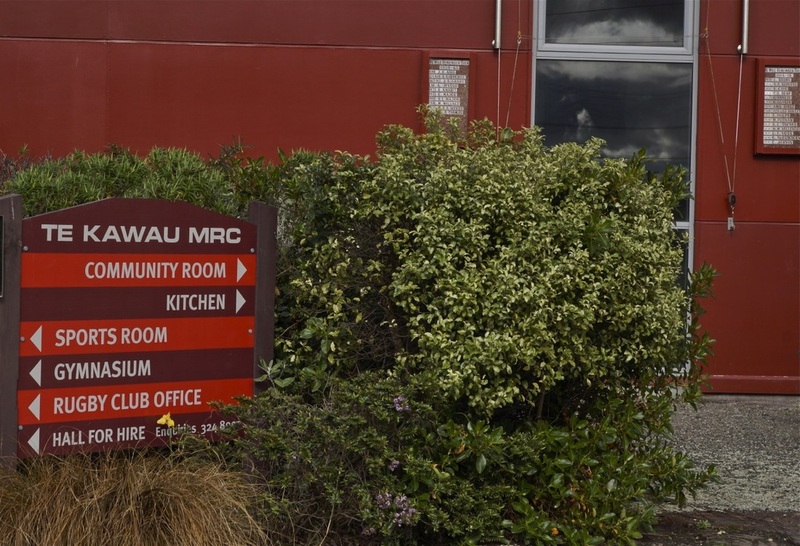 The room is carpeted, has a heat-pump and seats approximately 80 people and has its own kitchen and toilet facilities with facilities for the disabled. 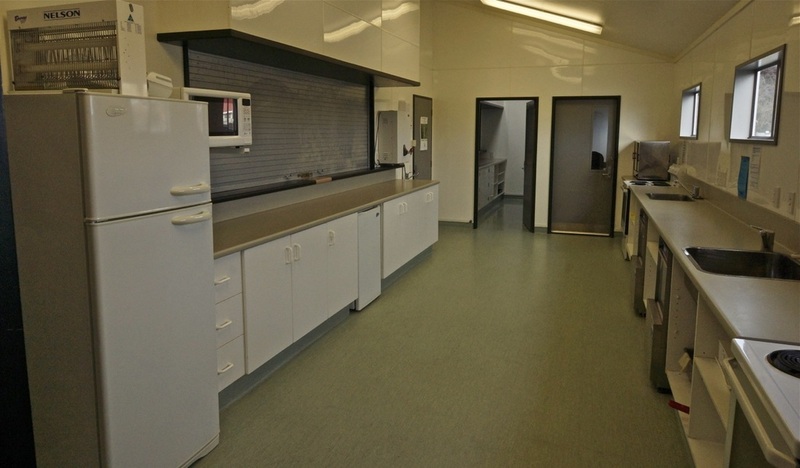 The kitchen is equipped with a dishwasher, microwave, stove and fridge/freezer. 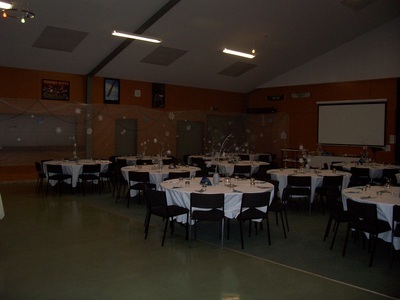 The room is carpeted and has a dance floor and Bar facilities, and has a heat-pump. The fully equipped kitchen includes two Stoves, two Commercial Dishwasher/Sterilizers, Bench high Refrigerator, Microwave and a Fridge/Freezer. There is a small side food preparation room with sink. The room seats approximately 180 people and has its own toilet facilities with facilities for the disabled. The Room will seat comfortably 100 people for a sit down meal, leaving the dance floor area clear of dining tables. Sound System Available: A sound system is available at an extra cost. The Sports Room has two speakers mounted on the wall. The Thomas Rowe Memorial Room has one speaker mounted on the wall which can be turned off if required. 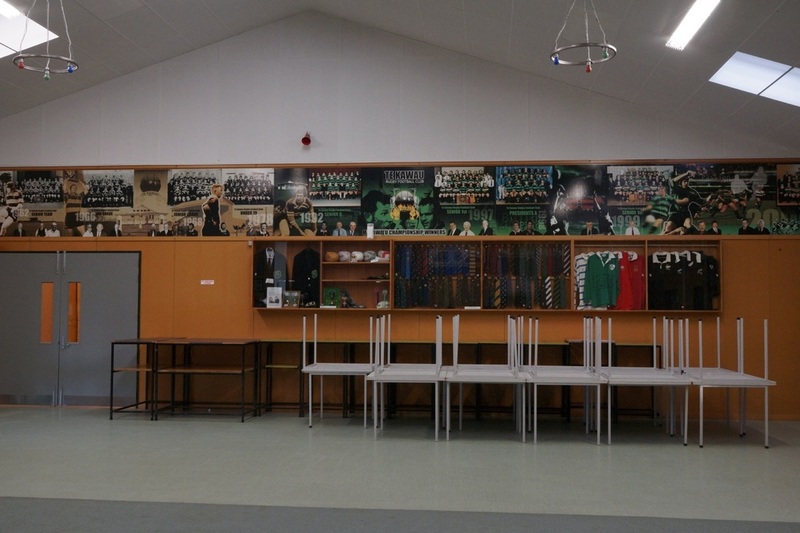 The Gymnasium is wired to take the one speaker we have which can be mounted on its stand. The sound mixer is able to play iPods, Mobile Phones, and CD players through all speakers. There is a wireless handheld microphone plus a stand, a hands free headset microphone and a corded microphone. All these can be used at the same time. 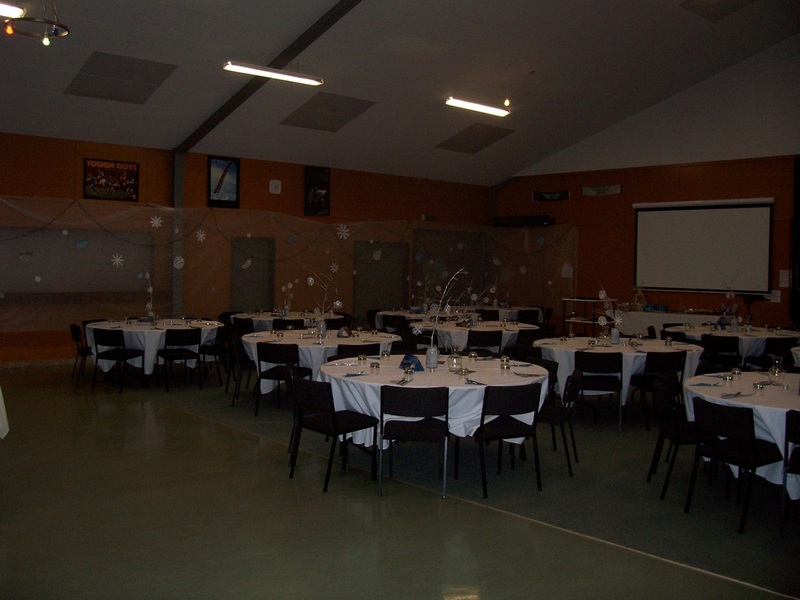 Te Kawau Memorial Recreational Centre is the ideal place to hold your next function. 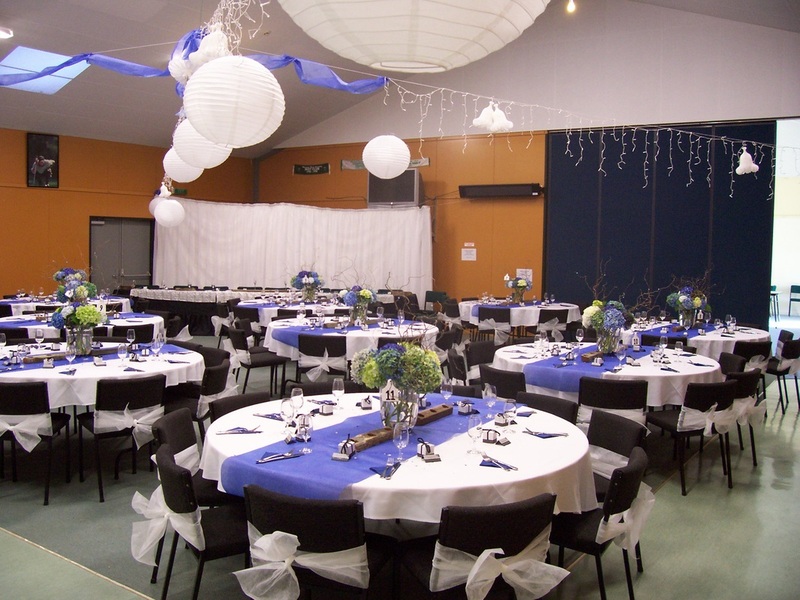 Whether you are having a wedding, reunion, club meeting or just a gathering, we can cater for all occasions. The three areas can be hired separately or collectively. 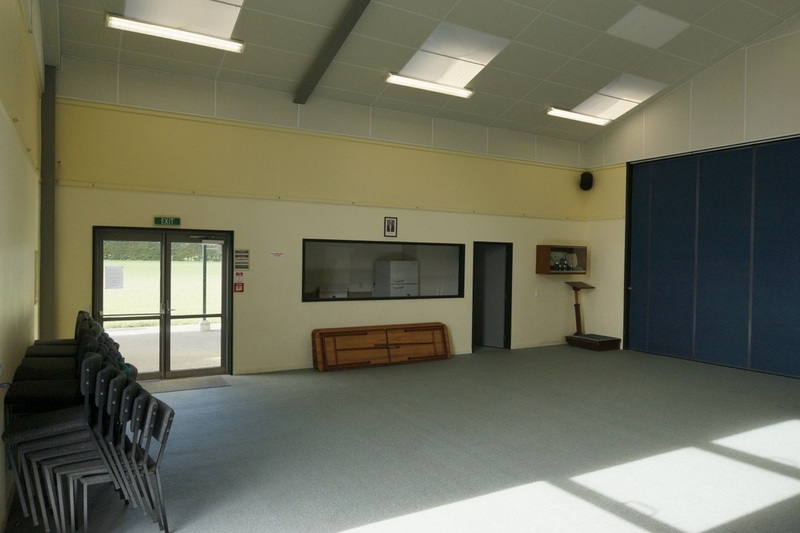 The Sports Room and the Thomas Rowe Room can be opened up to half the width to make a larger space. To hire the Centre contact needs to be made with the Secretary/Manager.